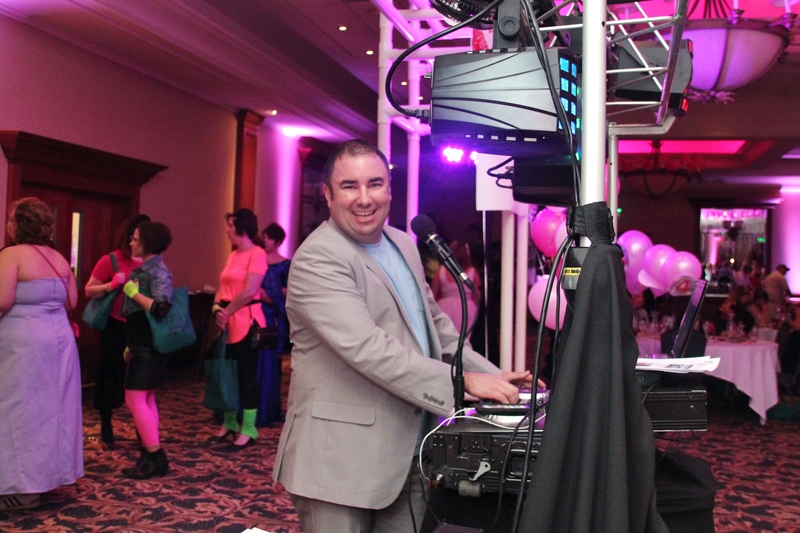 With over 15 years of experience and having entertained at over 1000 wedding receptions, DJ Corey has the ability to read any crowd and keep any party going! Corey has grown up in the family business working with Rusch Entertainment since he was a young boy, whether it was helping his dad set up his the sound equipment for his band or DJ’ing teen dances when he was 15 years old. Corey comes with a wide selection of music, but most importantly he has the ability to know what the crowd wants to hear and when they want to hear it. He is here to cater to your needs and wants and takes any requests of the Bride and Groom seriously. 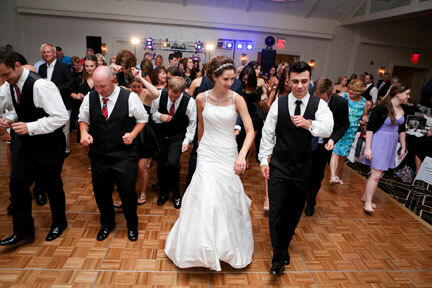 He will work with you from start to finish on your song selections and special events for your big day. He has invested greatly over the years into his sound and lighting system to provide the best experience and show he can offer. 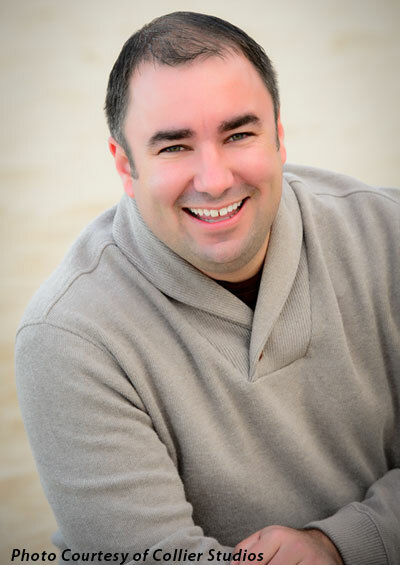 Corey will go above and beyond to help make your day the best day of your life! He is here to ensure your guests have a great time from the moment the arrive until they don’t want to leave when the party is over! Sparkler Fountains – NEW for 2019! DJ Corey at Bay Harbor - Congrats to Katie & Zeph! DJ Corey had an awesome time at the "Mom Prom"! You just can’t find a better DJ! Watch this video of the MOST FUN Wedding Ever! Corey Lights Up The Double Tree! Corey delivers The “WOW” to Your party and can add on extra up lights to match your colors! We worked with Corey Rusch and he was fantastic in every way. There was never a time we felt pressured. He was easy to work with and helped us all along the way. 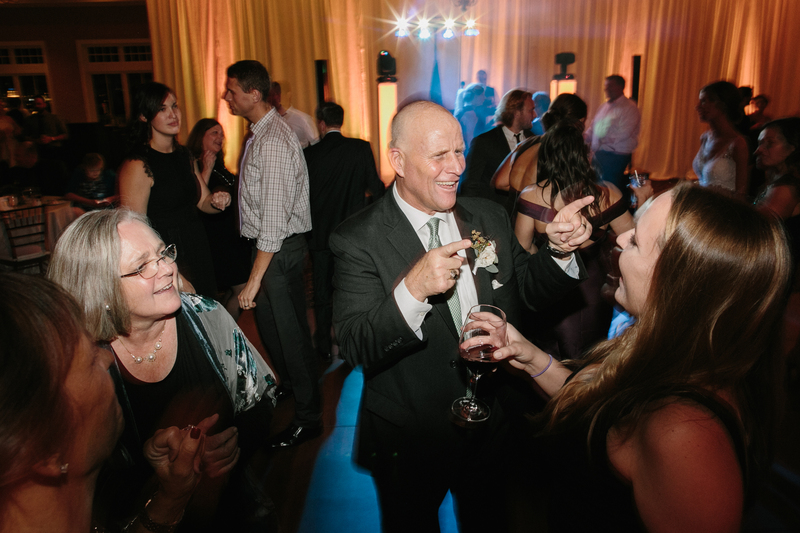 Our guests raved about the DJ and how much fun he made the night. We wanted to focus on the food and music for our guests and used Rusch Entertainment made this possible. He even recommended our photographer to us. Corey was fantastic, it was such an easy planning process with him. Throughout the night there were so many guests that complimented us on the DJ! The party kept going just as we were told it would. Corey worked so well with my entire family and everyone greatly enjoyed the night. 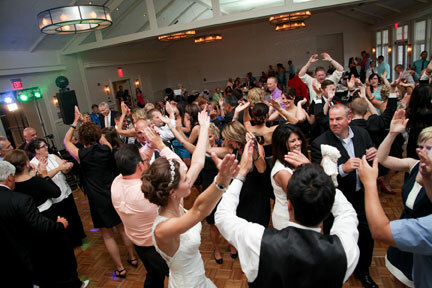 Whenever we’re given the opportunity to recommend DJ services, we’ll be sure to mention Rusch entertainment. We hired Rusch for the DJ for our wedding at the recommendation of the H Hotel coordinator and by my parents, who had seen the Rusch band at other events/gatherings around Midland. The document given to us to plan our music selection was extremely helpful and guided our thinking throughout the event (ceremony, cocktail hour and reception). Corey checked in with me a few days before our wedding day just to check in and make sure there were no changes. He even called us and talked to my fiance about which specific Star Wars songs he wanted for our reception entrance, which my fiance was happy about. The ceremony music was perfect – and now that I think about it, I don’t even remember seeing all the equipment at the ceremony, so it was out of the way/not crowding us. The reception was smooth and Corey handled my family members (who were trying to take the mic and share stories!) with ease and got right back to the music. We would absolutely use Rusch Entertainment again. 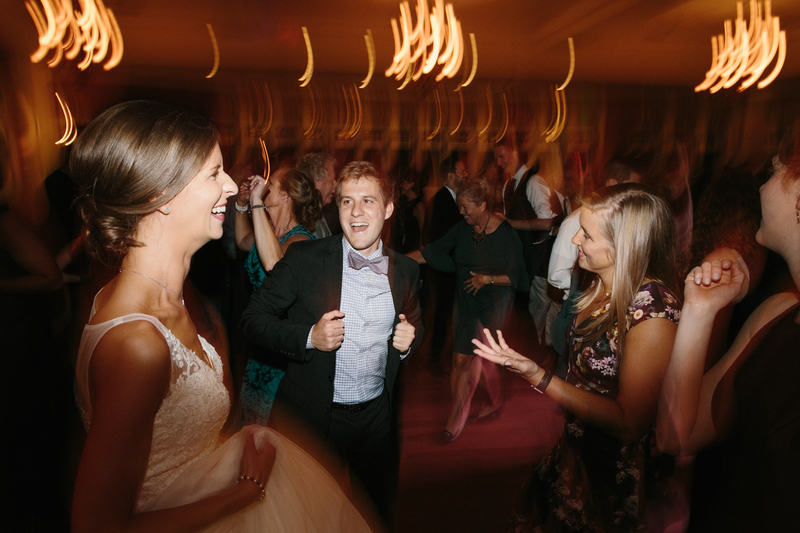 We had Corey Rusch as our DJ for our wedding last weekend and could not have been happier! He seamlessly transitioned from our ceremony to cocktail hour, was extremely helpful at keeping us on task and keeping the momentum of the night going. We had a thousand compliments on the music and have suggested Rusch to anyone who has asked! Corey truly made our night magical and memorable, so glad we chose them for our special night! Corey Rusch absolutely killed it as the DJ in our wedding. Not only did I recognize this, but guests were all approaching me wedding night and the next day about how incredible he was. 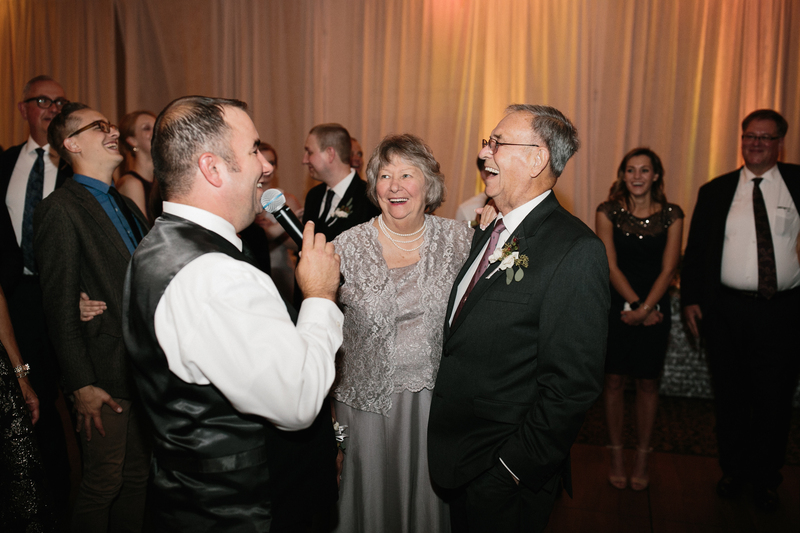 He listened to what we wanted and absolutely met our very high expectations as both our families love to dance. 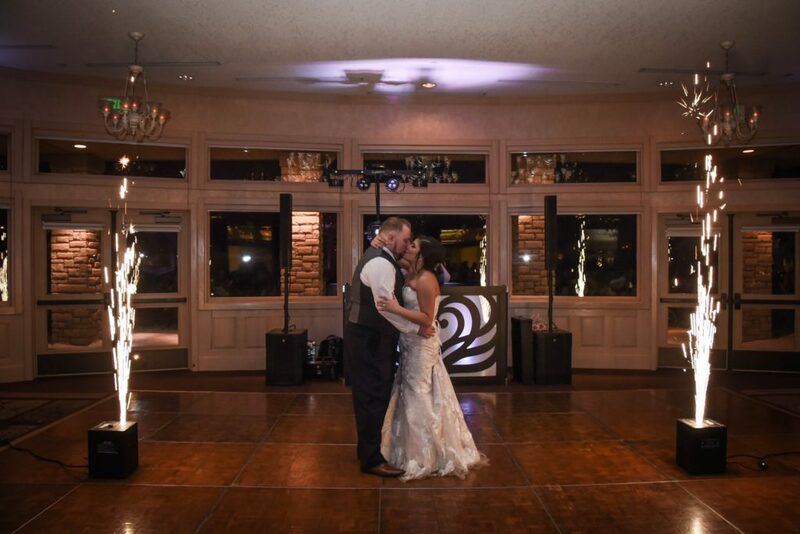 I want to give a huge THANK YOU to Corey Rusch for being our DJ at our wedding! He did such an amazing job and kept people on the dance floor all night long! We had so many compliments from our guests at the song choices and he made it a variety for all ages. Rusch Entertainment truly took part in making our wedding day special and we are forever grateful! We will be recommending our friends and family to use you for events! Thank You! Jon and Mindy Manser – Lumber Barons Brewery – About 300 Guests! 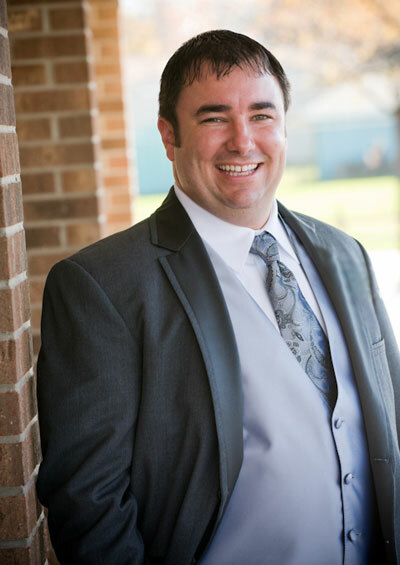 We hired Corey Rusch from Rusch Entertainment to provide DJ services for our reception and our ceremony on our wedding day. Prior to the day, Corey had us fill out a form to help organize our wedding. This form, with its links, was very helpful to us. On the day of, both the ceremony, and the reception took place outside with the reception taking place under a tent. Corey provided music during the ceremony and a microphone so that our voices could be heard. He also played each song and led the events during the reception perfectly. He did everything we had agreed on prior to our wedding day without issue. He did however exceed our expectations when it started to rain prior to when the reception was to begin. We had to cut our time for pictures short and rush under the tent. Corey was able to introduce us, the wedding party, the flower girls, hostesses, and the ring bear differently as planned, but it worked out perfectly. I will use Corey and Rusch Entertainment again when I am in need of DJ services. Corey Rusch was amazing! He was great at communicating before the wedding and very easy to work with. He had people on the dance floor all night long! A good DJ was very important to me and Corey did not disappoint! He also was a great MC/host throughout the night, great transitions from cake cutting to toasts to first dances. 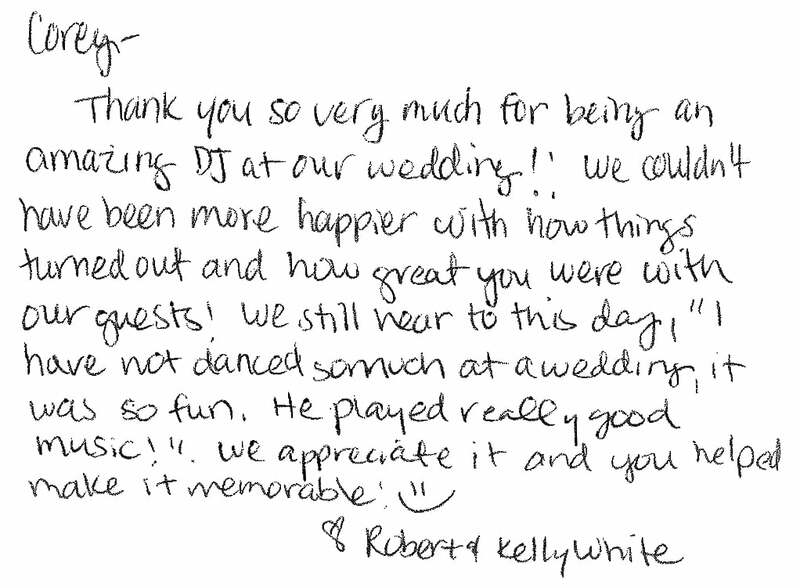 (This is something very small, but have noticed it at other weddings, his DJ both was very nice and classy. I’ve seen other DJ booths that are all advertisement/gaudy, not Rusch!). We also used Rusch for the photo booth which was a total hit! Corey did a fantastic job. We are so happy with the way our big day went. The dance floor was always full, people loved the music played at various points throughout the evening, and he was just a fabulous MC. We will be submitting a review on FB but I want you to know it was perfect. The entire process from start to finish was awesome with Rusch. Easily the best vendor we worked with from planning the wedding to the end of the reception. I was very impressed with your services! Super happy with Corey. He had a tough crowd for dancing but he got them up and moving! The lighting was great and he went above and beyond to record the ceremony for us! Also happy he was able to find a lot of the odd song requests we had. We will definitely use you in the future and recommend to others!! Hi Dean, Corey was incredible! So happy he was our DJ. We received so many compliments and the dance floor was always full! Mike and I were extremely happy with your services! We would highly recommend you to others! Corey was super friendly and easy to work with. The music was perfect and appropriate for the timing of our event. For example, during dinner, the volume was low and the music was appropriate, and after dinner the dance music was a perfect combination of get up and dance music. DJ Corey took requests, and played them all! He gave us breaks from high energy dances with soft slow dance music. Truly professional. Hi Dean! Saturday was the best day of our lives! Corey was awesome! If we had to do it over again we would pick him again. Thank you so so much!! Corey did a fantastic job at hosting our wedding! He was very laid back but still professional. He didn’t let the heat or our last-minute changes bother him. Corey always replied very quickly to emails and always kept us updated. I’ve heard wonderful things about Rusch entertainment, and I’m so happy that we were able to share our day with such a wonderful business. Highly recommend to anyone needing professional DJ. Hi Dean, I wanted to let you know that the wedding was great! We had a lot of compliments regarding Corey as our DJ and a lot of people asking who we used at Zehnders Of Frankenmuth. Thank you so much, Corey really made our wedding night incredible! Everything was absolutely perfect. Corey did a great job getting the guests up and dancing and he played great music!! Thank you for being a part of my big day and making it so special! Hands down the best decision we could have made for a DJ. Rusch was great from the start. They had a super easy online form to fill out and was really helpful to bring things to our attention that we may have not even thought of. 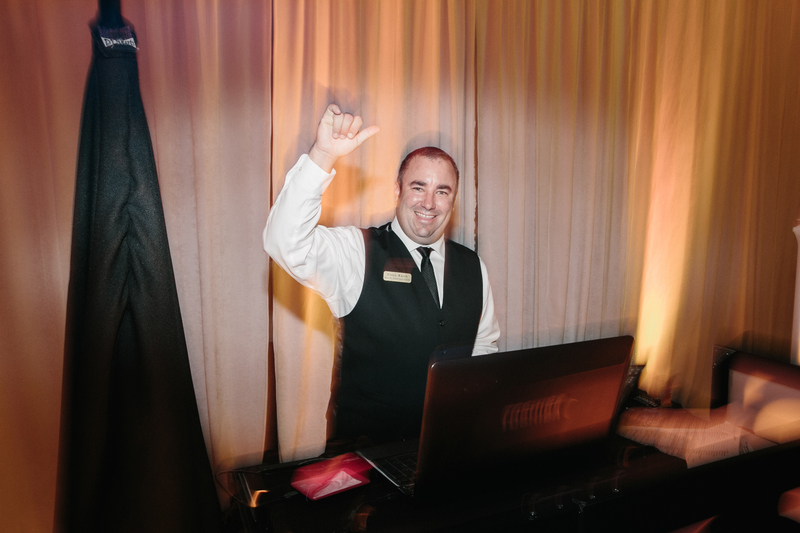 We got Corey as our DJ and he had everyone dancing and kept our dance floor packed the entire night! He was so professional and fun, did everything we asked of him and more! Corey definitely has an awesome talent of reading the crowd and figuring out the music that the crowd wanted to hear. Definitely would recommend them if you’re looking for a perfect DJ for an affordable cost! Corey is FANTASTIC! He perfectly captured the mood of the party and kept it going all night long! Our ceremony music sounded wonderful out in the H hotel courtyard, and he had perfect timing for music during the reception. My husband was especially happy with the dinner music – a medley of songs by Wes Montgomery. We are thrilled and have been raving to friends and family about our wonderful experience with Rusch. Corey went above and beyond – I enjoyed getting to know him through the planning process and I felt like he genuinely cared for us and our wedding. We will be leaving five-star reviews on the knot/wedding wire and any other sites we can think of! Thank you!! Jillian + Ben Highlight from Simon Brothers Productions on Vimeo. I have nothing but wonderful things to say about Rusch Entertainment! Corey went above and beyond for my wedding! He not only kept the dancing going all night, but he also helped us a lot in the planning process, giving us suggestions and details we had not even considered. 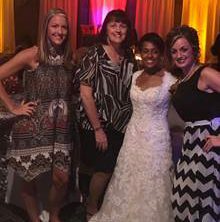 I feel like choosing the right DJ can make or break a wedding, and Corey made our night so spectacular! Seriously, was the best night ever! Thank you Corey and Rusch Entertainment for everything!!! I tell you what, I did not have one complaint from any of my guests the entire night about Corey and Rusch Entertainment. Corey was always coming to me to tell me how things would happen before he did them. He also played songs that people actually liked. I am beyond thankful that I booked this company as he created many memories for me and my wife. 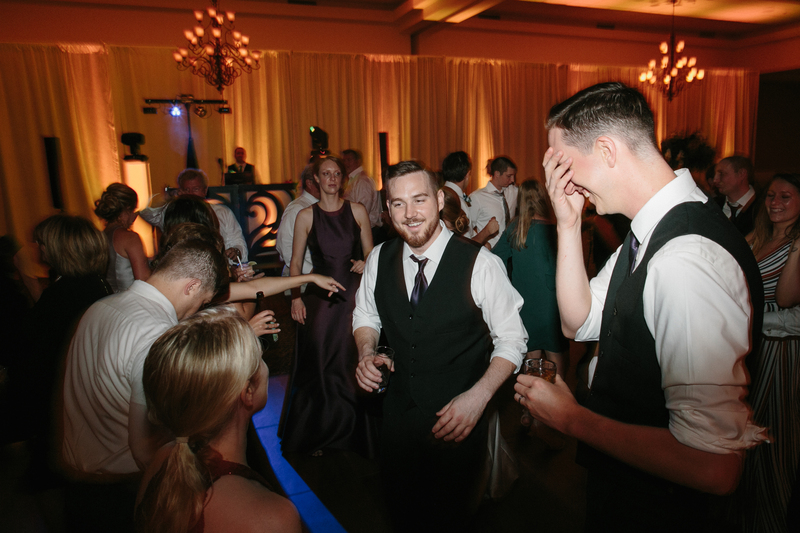 Even my groomsman who does not dance at all was out on the dance floor. Thank you Corey! I would highly highly recommend this company if you want to have a night for you and all your guests to enjoy. DJ Corey did an awesome Job! We have so much fun at our Employee Holiday party in February! Dancing until midnight ! I received so many compliments on the music. Corey made me look great! We will continue to book Rusch Entertainment for years to come! Thanks again Corey! Corey did an amazing job and was a pleasure to work with the entire process. He was always readily available to answer any questions or concerns we had. I can not thank him enough for the wonderful job he did for us!! 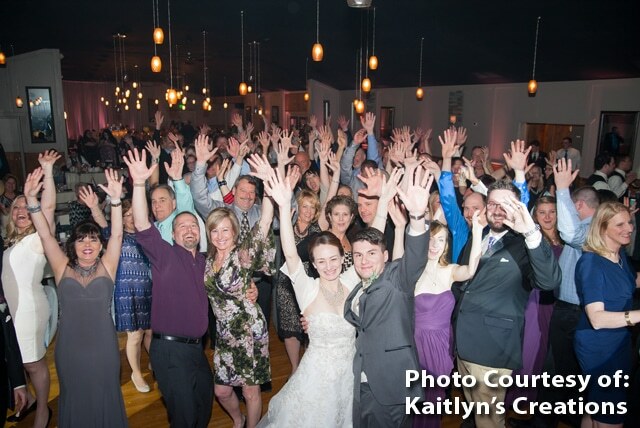 Our guests have commented many times since our wedding that it was the most fun they’ve had at a wedding and they’ve never seen a dance floor so full for so long. Thank you so much for making our day so much fun for everyone!! I will continue to recommend Rusch entertainment to anyone having an event. Thank you again!! Very good DJ!!! Corey listens to all of your wants and needs. I got nothing but compliments the whole night on the music. Didn’t play one bad song. He set the tone for the reception and everything flowed together great. I wish I could get married again just to hear the music. Great job!!! Corey did an amazing job on 8/19/16. My husband and I have received so many compliments on your ability to keep the dance floor packed. You guys as always have gone above and beyond to make our wedding day special. Corey kept people dancing until the end of the night. His ability to read the crowd was what made the night all that much better. I will undoubtedly refer you to anyone I know looking for entertainment. I can’t thank you enough for all of your hard work. I love the quality of service from Rusch Entertainment. You guys are amazing keep do what you do. Thank you for the great experience. Our wedding day was genuinely the best day of our lives- and we have DJ Corey to thank for that! First, Corey drove out to the middle of the woods with all of his top-of-the-line equipment in order to provide our evening entertainment. We thought we might have trouble getting someone to commit to a non-traditional wedding setting, but he heard our story and agreed to help us out! The day of the wedding, Corey was a gem. In addition to showing up early to play music for our guests, he helped coordinate with the caterers to ensure that everything ran smoothly, kept us on time, and even did small (but largely appreciated!) things like offer to refill drinks for the head table. However, the best part of the night was when the dancing started. 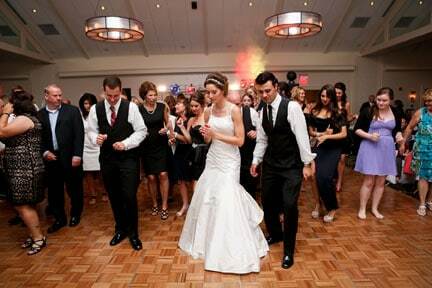 Our dance floor was absolutely packed- the ENTIRE night. 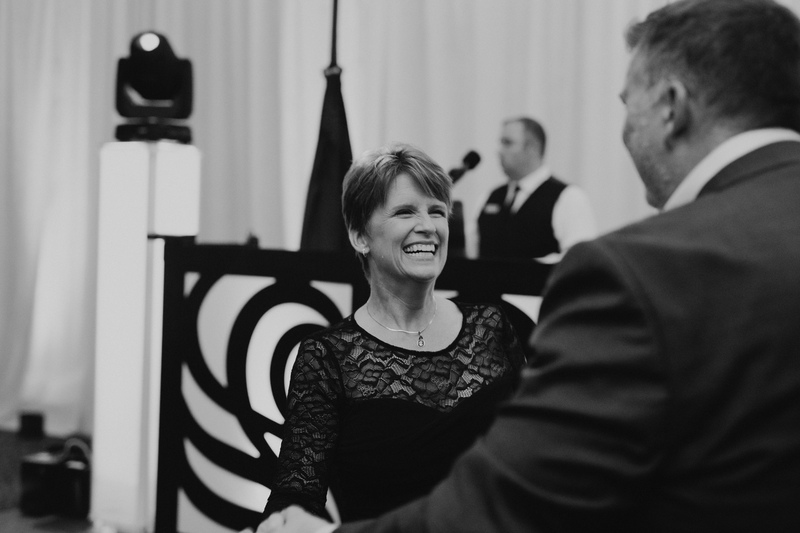 At several points in the evening, my new husband and I sat back to observe the dance floor, and we were just glowing with happiness about how great of a time our guests were having. 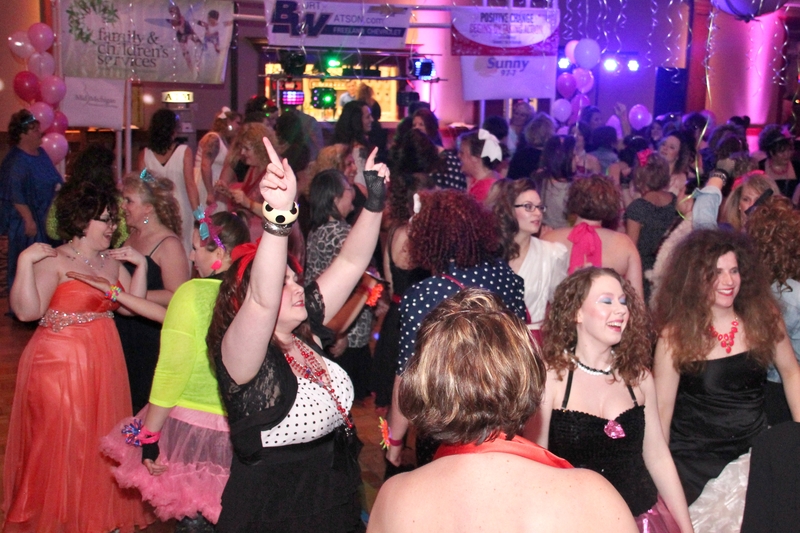 We have heard nothing but compliments regarding the entertainment, and remarks such as “I haven’t seen a dance floor that packed, and packed through the whole night, in decades!”. Corey does a great job fielding requests from guests, but also is gifted in his ability to read the crowd and play whatever songs will keep them having a great time! We are so grateful for Corey, and I will absolutely recommend him (or any member of the Rusch team) to any couple looking to make their wedding the best day of THEIR lives. Corey was amazing! He took care of the music for us at our ceremony and the reception since they were at the same venue. He was very attentive before the date to make sure I didn’t have any questions, concerns or changes that needed to be made, and was attentive the day of as well. Corey kept our friends and family on the dance floor from 8:00-12:00. There was never a time that there wasn’t at least a handful of people dancing. A couple of times I looked up and the floor was packed, and the dance floor wasn’t big enough to hold everyone (though it is a large dance floor at the Forest Edge in Freeland where we were married). He did a great job with mixing things up but doing it in a way that flowed very nicely. Everyone complimented on what a great time they had and how much they enjoyed the music. Thank you so much Corey!! Hi Dean, We had an awesome party. People were dancing early and we had more of the crowd stay later than normal. As soon as we have our date for next year I would like to book Corey. Thank you!! DJ Corey – U guys did awesome!! So patient with our big bridal party. Over exceeded our expectations! Every one we talked to said it was the best wedding they have been to, because every single song was a hit dance song for our group and our musical tastes-we are so happy we choose you guys! Thank you again and know that we will definitely refer you to others! He really listens to his guests and everyone including are older guests who have been to numerous events said it was the best wedding they had ever been to. He made the night so fun and memorable! If I ever need another event dj’d im calling Rusch Entertainment for sure! Nicole & Derek Jean – The Great Hall Banquet & Convention Ctr. Corey Rusch did an excellent job! Thank you so much for such a great time! The dance floor was packed and the lighting was amazing! I received so many compliments on the music and wanted to say how much I appreciate everything you did. The gag bag for the garter went off without a hitch too. Everything went smoothly and was well timed. We thank you so much and we do recommend you to everyone! Corey did a great job at my wedding. The whole dance floor was packed until the very last song. He provided great entertainment and kept the night running smoothly. I would recommend Corey to anyone who wants to have a great time dancing all night long. COREY IS THE BEST! He did our daughter’s wedding last summer, my husband’s surprise 50th and our sons wedding back in march also. He has made each event so much fun! It’s a given if we have an event/party that Corey will be there. Our family and friends know him now. All of the guests say how much fun he is and how great the music is. The up-lighting that he now does is gorgeous and adds so much to the atmosphere. We can’t wait until we can hire him again. Corey was our DJ and we thought that he did a phenomenal job! We got married on New Year’s Eve and people were out on the dance floor the whole time. He also looked out for us when he noticed that our guests were getting a little out of hand. Very highly recommended. Corey was amazing, 5 is not a high enough score. He went above and beyond what I had expected! The dance floor was jam packed all night, people I never thought I would see on the dance were out there all night. I got compliments weeks after about how much fun it was. One person referred to it as the “wedding of the century” and I think Corey was the main reason for it. I can not say enough good things about Corey and Rusch Entertainment, I would highly recommend them. Hi, I am the owner of the Four Occasions Banquet Center in Millington. 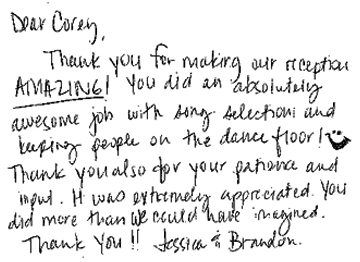 Corey Rusch was the DJ last Saturday night and I just wanted to send this email to say he did a wonderful job. He was Great to work with; and we would definitely recommend him for any of the venues we might book at Four Occasions. Corey went above and beyond for us on our wedding day! He even called about a week before and made sure everything was ready and the way he wanted it. I loved that he took time out of his schedule to make sure that we were going to be happy. I felt like he took our reception to another level. I couldn’t be happier with the service that we had gotten with Rusch. They are a stand up company and what you for you get. Thanks again Corey for making our day better than we could have imagined! We had Corey as our DJ at our reception. It was on New Year’s Eve! HE DID AN EXCELLENT JOB!!! There was not a moment that the dance floor wasn’t packed the entire night! (we had 417 people at our reception to!) he played the right songs at all the right times. I wouldn’t have any other DJ! He’s very personable and flexible if you want to hear a different song! 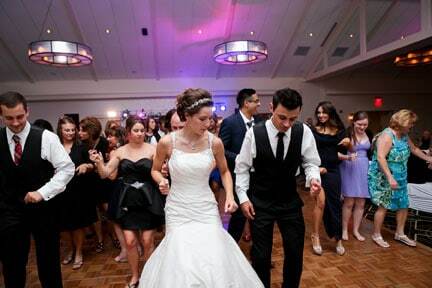 I’ve had so many compliments about our wedding reception and he had a HUGE PART in making it as FUN as it was because he kept people dancing all night! GREAT JOB, COREY AND THANKS AGAIN!!!!!! In preparing for our event, I knew of no one better than Rusch Entertainment. Knowing my mom knew Mr. Rusch personally, it made it even easier to choose. Rusch is a company I knew I could trust and no concerns about. I was incredibly impressed by the way everything from my initial contract to the hour before guests arrived had been handled. Throughout the night, Corey made sure to keep my guests involved. Corey made sure many requests were played as well. I will highly recommend this company to future brides. Thank you Rusch Entertainment and especially Corey for making our wedding reception so memorable. We can’t tell you enough how absolutely wonderful it was having Corey as a DJ. He was excellent and kept the whole party dancing and having a great time til the end of a night. We were so happy with what he did and he was so great to work with. Thank you so much again for making our wedding reception perfect. Thank you so much for performing at our wedding on May 23rd. you did an excellent job at organizing the evening and made it easy for us to enjoy the day! 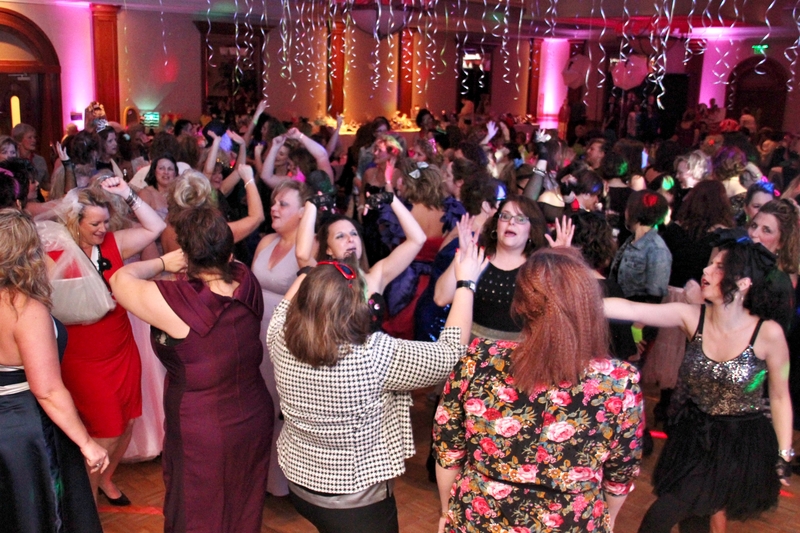 All of our guest had a great time dancing the night away! Thank you for making our reception such a blast! The dancefloor was full until the end of the night. We would recommend you to any of our friends. Thank you so much for the wonderful job you did at our wedding reception I was very comfortable knowing you were taking care of everything. Thank you so much Corey! Thank you so much for being at our Lock up and Muscle Walk events. We appreciate the support! you guys are GREAT! Thanks again! Corey did an amazing job. 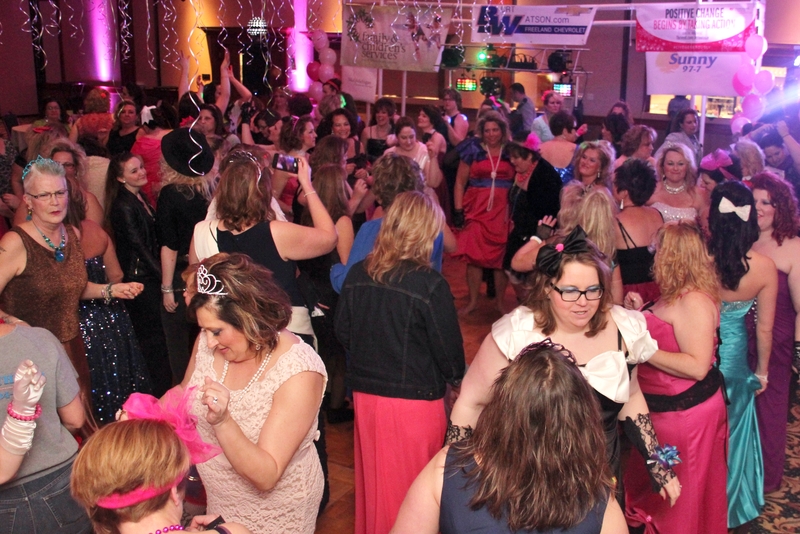 There were people on the dance floor all night, and everyone had a blast. We wouldn’t have trusted anyone else with our special day. In fact, Rusch is the first and only DJ we called. Corey did a fantastic job! Couldn’t be happier with you guys! Thank you!!! We loved Corey! We were so happy with him! His professionalism and music decisions were exceptional and all of our guests had an amazing time! Thank you so much for recommending him and for making our day that much easier/better! Hey Corey! We just got back from our honeymoon! Sorry we haven’t completed the survey yet but believe me.. 5 stars!! Everyone loved your arrangement (thank you for letting us have so much input and freedom with the list) and I felt so respected by you that you always made sure song choices were ok with us…..we really felt like you were there for us! And we appreciate that. It was the best party I’ve over been to (not just because it was our wedding!) but seriously we could have all danced until 3 am. I will definitely fill out the survey ASAP and promptly recommend you you to any local bride! Ps….thanks for allowing me to let out my inner princess at the end of the night! Lololol. The whole night was a dream. As for the reception, Corey was phenomenal! He had people on the dance floor the entire night and it was always full. The song selections were great and he did a perfect job transitioning through different parts of the night. I couldn’t be more happy and satisfied with what he did for us. I would recommend Corey and Rusch Entertainment to any couple! Corey really was a star. Our daughter’s wedding, Our original DJ (Gift of a friend) cancelled a week before the wedding. Didn’t even call us directly. I called Corey directly. Told him what happened, told him our budget and he took care of us. Dean followed up with contract detail. Dan was our DJ. We were so happy. I am also a wedding planner and will be recommending this team to my clients. 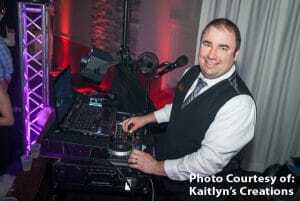 Corey was our DJ for our wedding, he did an absolutely amazing job! 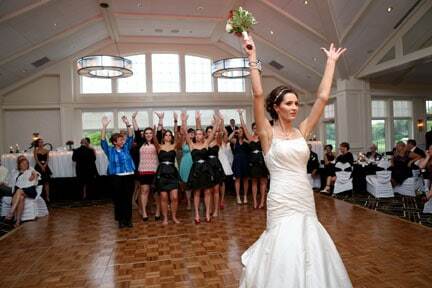 I have been to a lot of weddings and there has never been a DJ that got the crowd more involved and everyone dancing so early in the reception. I was very impressed!!!! I would definitely suggested Rusch entertainment for anyone’s wedding. I wanted to drop a quick line to thank you and to especially thank Corey for the great job he did at our Horizons staff party on Monday, for our annual staff Christmas party! Everyone had a blast on the dance floor! He kept the party going and seemed to know exactly what music to play. Although…. I’m demanding a recount on the train contest between Bob & myself…. I’m pretty sure I won! 🙂 I hope Corey enjoyed his time with us as well. It was the BEST party we have ever had!!! We appreciate the good work you do for all our clients all year round. Wishing you and your family a blessed Christmas season. My DJ was Corey Rusch, and he was amazing! He did a wonderful job. He kept the guest dancing all night, played all the music we want, and didnt play the ones we didnt want. I would recommend Corey to anyone. The price is great for the job he does! Working with Corey was great and he took all of our weird requests and made the night special! Corey did a wonderful job at our wedding. His song selections were perfect for my guest and he kept the party going all night. The dance floor was jam packed all night, people I never thought I would see on the dance floor were out there all night. I got compliments weeks after the wedding about how much fun it was. One person referred to it as the “wedding of the century” and I think that Corey was the main reason for it. I cannot say enough good things about Corey and Rusch Entertainment, I would highly recommend them. DJ Corey and Rush Entertainment are awesome. My wedding was great. I got to hear everything from Master P to the chicken dance. Get him if you can!!!! Corey Rusch was amazing. His service was better than we could have imagined. People were on the dance floor all night long. He was respectful and curtious. He played everything I wanted and many more great songs. My guests loved him and so did I. He got my husband and I water while we were waiting for our entrance. He came up to me multiple times to either ask my opinion or if something was ok. In my opinion he was the perfect DJ for our wedding and I would recommend him to anyone. If I needed a DJ for another event I would most certainly book Corey Rusch! I cannot find a bad thing to say about having Corey as our DJ for our wedding reception. He was prompt, professional and had a great selection of songs. He caterered to the different styles for different guests. Everyone commented on how good he was. Thanks again Corey!! We had Corey Rusch do our DJing for our wedding. All I can say is he did an awesome job. I told him if he could read our crowd that he would have the dance floor packed all night long and he did just that. 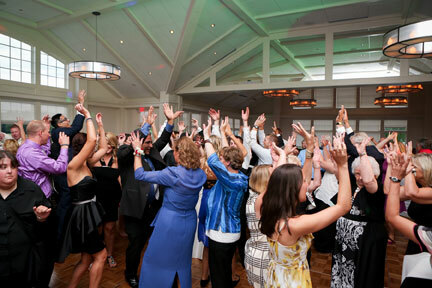 Our guests had a wonderful time dancing the night away. Corey did a great job and was very responsive to our needs. I never hesitated to call him and when I did, I knew he’d always be there to go over any questions or concerns I had. We talked multiple times the week of the wedding just to make sure things went according to my plan (I was a bit obsessive over the details, and Corey was okay with that and was great to work with). If you are looking for a great DJ, I would highly recommend Corey! Corey was amazing, 5 is not a high enough score. He went above and beyond what I had expected!